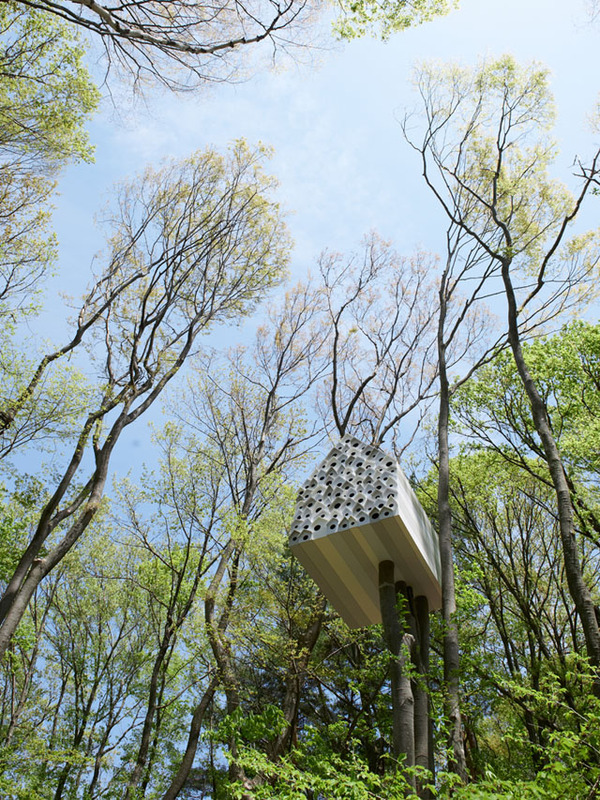 Bird-Apartment is a treehouse that doubles as a giant birdhouse with 78 nest spaces for birds. 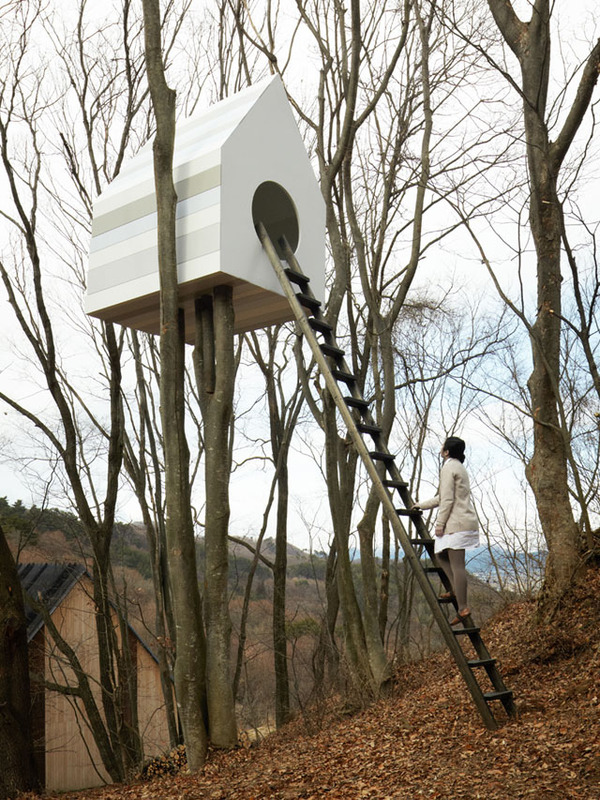 A person can enter the treehouse via a back entrance and observe the birds without disturbing them. 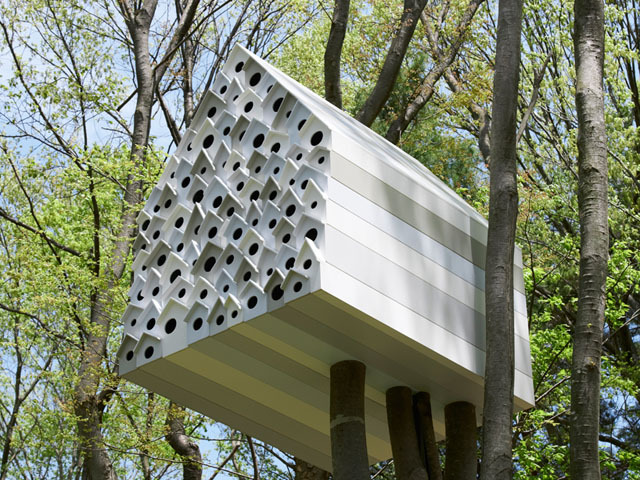 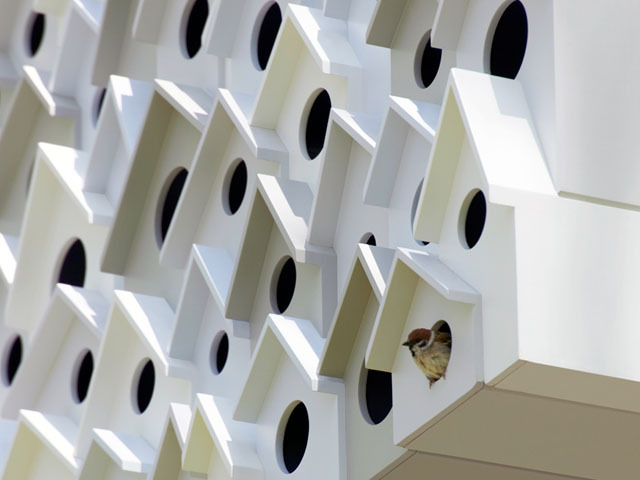 Bird-Apartment was designed by Japanese design firm Nendo for the Ando Momofuku Center, a nature activity center in Japan.